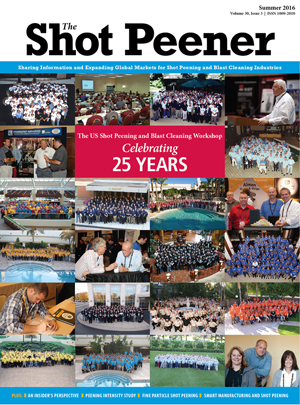 The Shot Peener magazine is dedicated to sharing information and expanding global markets for the shot peening and blast cleaning industries. We cover topics of importance to a wide range of readers -- from OEMs to engineers to academics to machine operators -- in a fresh and engaging format. The magazine is free of charge to make it accesssible to as large an audience as possible. Electronics Inc. publishes the magazine. For more information, visit The Shot Peener magazine.